There are currently 85,446 users on this website. Please let me know your idea of grade. Thanks! 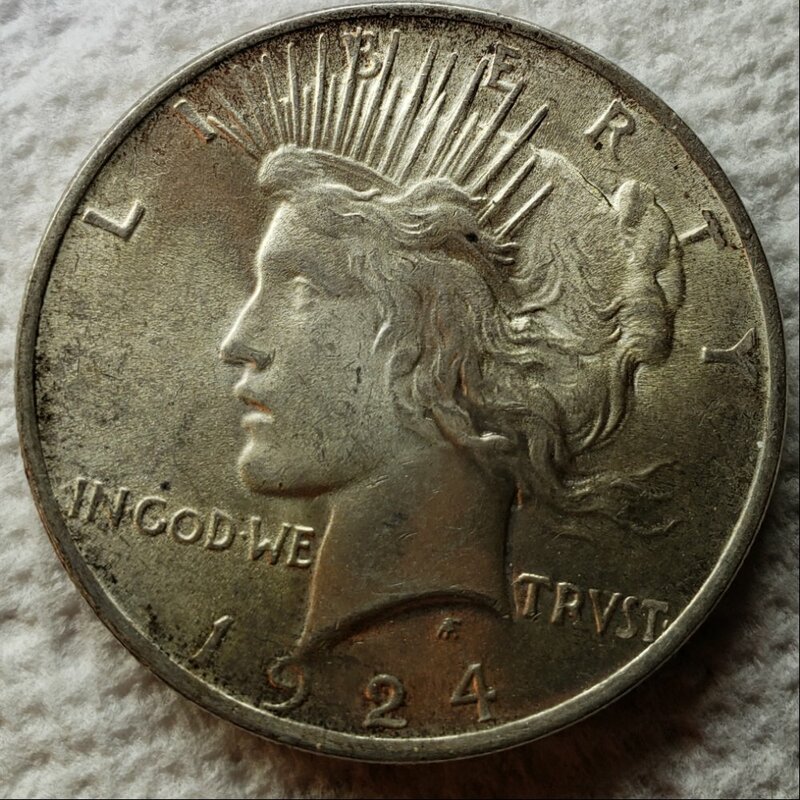 It has lots of luster, but some toning, I used a light almost parallel to the coin to take these pics with my phone. I would grade this MS-64. Thanks Coinfrog! My grandma loved frogs!! The reverse in particular shows a wonderful glow and just has the "look" - put away and untouched for many years. I agree with the Frog's grade of 64. So do I. In the summer we frog gig at night. cut them legs off, nice thick batter, 350° oil for 7-8 minutes! Raymo - that's what I'm talkin about! Who knows - this could grade even higher if the obverse is clean under that toning. MS-64, but the scratch from the you over through the eagle's back concerns me a little. I'm going to go against the grain here. My initial reaction to seeing this coin is that it was a "liner" AU/BU. But, after seeing the other comments and the OP's description, possibly the pictures are not that flattering and I'm being too harsh. If it's MS, then 64 seems reasonable. However, I think (and I can see some of you screaming Nooooo) that this coin can benefit from a light dip. 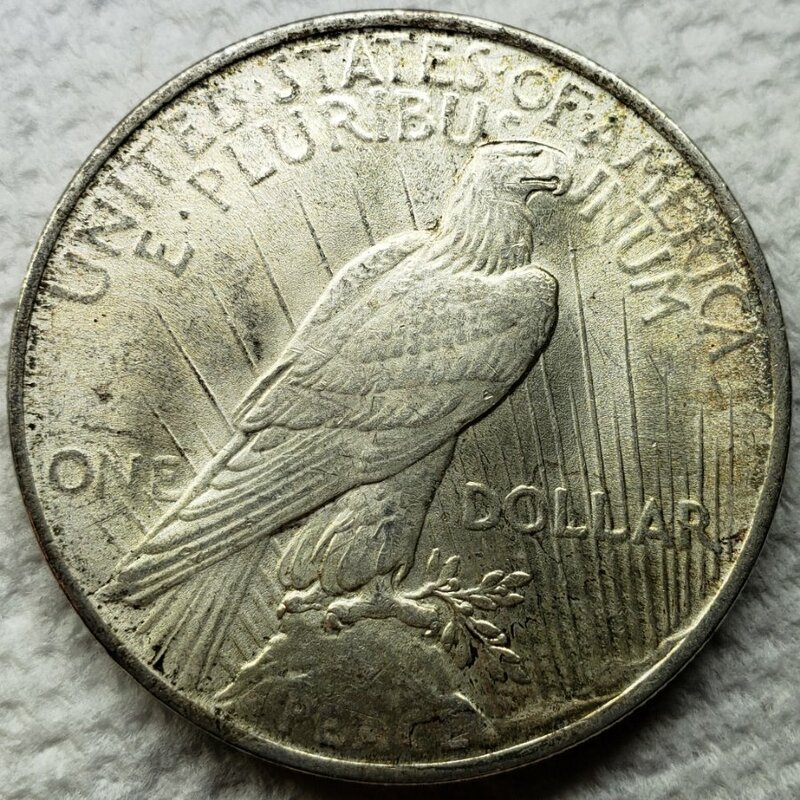 I don't care much for this toning on this very common Peace dollar and it would probably benefit from a dip to give it real flash and blast it is truly lustrous under that toning.